Summary: Jesus Christ practiced a selective blindness and deafness, choosing not to see or hear any of the distractions to His carrying out of His office as the Suffering Servant. Furthermore, He continues to choose not to see or hear the sins of those who trust in His name but instead grants full forgiveness to all who believe in Him. Text: For a long time I have held my peace; I have kept still and restrained myself; now I will cry out like a woman in labor; I will gasp and pant. I will lay waste mountains and hills, and dry up all their vegetation; I will turn the rivers into islands, and dry up the pools. Hear, you deaf, and look, you blind, that you may see! Who is blind but my servant, or deaf as my messenger whom I send? Who is blind as my dedicated one, or blind as the servant of the Lord? He sees many things, but does not observe them; his ears are open, but he does not hear. 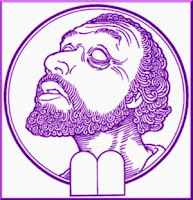 Audio: Click to hear MP3 of No One So Blind, No One So Deaf, preached at Shepherd of the Hills Lutheran Church, Fayette, Missouri.